Our solution drives your success! WrightPlan's business management software makes quoting and estimating easy — and that's just the beginning. Uncover the problems WrightPlan solves. Learn about our client experiences. WrightPlan's web-based software makes estimating projects and managing your business easier. From quoting and estimating to invoicing, scheduling and project management, WrightPlan has the tools you need to make running your business simple. WrightPlan helps businesses in the Machinery Moving, Construction, Crane and Rigging and Millwright Industries to easily manage their back-office systems and field operations from one place — accessible from anywhere. WrightPlan does all of the heavy lifting with our Turn-key implementation plan and custom interfacing. Have your system your way. Start saving time and money today! Don't believe us? Book a demo and we'll prove it! If [our team] needs anything they can get information and update the system from anywhere. The likelihood we’ll get a quote is higher because our process is faster and we’re able to deliver a quote right away. Stay up to date on our business, industry news and upcoming events. One of our customers, Southwest Industrial Rigging, was featured in the North American Construction Journal, and WrightPlan was sited as part of their success! 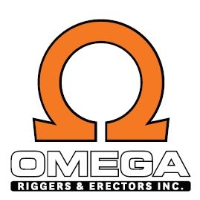 If you’re looking for a rigging company that has the resources to move an entire power plant, Omega Riggers and Erectors is up for the job. As the top millwright and machinery moving company for Seattle Metro, they’re known industry-wide for their record of safe and efficient practices. In short, Omega always keeps a diligent focus on quality in everything they do.